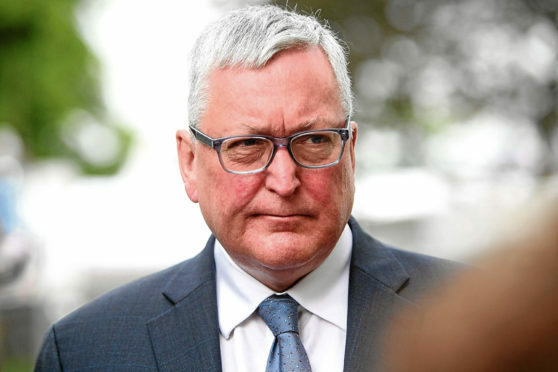 Fergus Ewing issued the warning when he made a statement at Holyrood on fishing which built on the Scottish Government’s recent discussion paper on the Futures of Fisheries Management. Making a plea for cross-party support to ensure a sustainable fishing industry, Mr Ewing said he would fight any attempts by the UK Government to allow access to waters around Scotland to be “traded away”. Mr Ewing said: “Let me be absolutely clear: Scotland’s rich fishing grounds should not be used as a bargaining chip in Brexit negotiations. Mr Ewing added that Brexit uncertainty was challenging for fishing families and promised to get the best deal for the industry from Brexit. At Holyrood, North East MSP Peter Chapman gave a cautious welcome to Mr Ewing’s document, saying that it was largely in line with the UK Government’s own Fisheries Bill. But the Scottish Conservative warned that “none” of the initiatives proposed by Mr Ewing will take place if the UK doesn’t leave the Common Fisheries Policy (CFP) as part of Brexit. He said: “I welcome this document, as it is the first time that this SNP government has had anything positive to say about leaving the EU and leaving the CFP. “As well as important questions, there is much to welcome in this document….but it can only come into effect if we leave the EU in a managed manner.